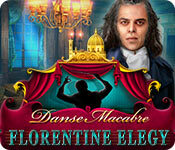 Danse Macabre: Florentine Elegy is rated 3.1 out of 5 by 9. Rated 5 out of 5 by denniann2 from another HO game a good game in the series. i enjoyed it. there is something going on and you have been brought in to figure it out. maestros are being killed and you need to expose the murderer. i played on the custom level. there is a good hint system!!!! Rated 5 out of 5 by biscuitsmama from MUSIC COMPETITIONS CAN BE DEADLY Music competitions can be deadly as you soon learn when you play this new Danse Macabre game – Florentine Elegy. You play the game as a student of the famed Maestro Benedetti who is one of the leading composers in Italy and you are very fortunate to be his student. Even though he is at times arrogant and self-absorbed, he is like a father to you. When he is murdered after a competition you become the prime suspect and face death by hanging. One of Maestro Benedetti’s long-time friends Maestro Tonelli comes to your rescue and helps you escape from the prison. As you search for the killer you find a tangled web and have no idea who you can trust. Will you be able to navigate the streets and alleys of Florence as you search for answers and find out who really is behind the death of your beloved teacher? Florentine Elegy has beautiful graphics even though they sometimes appear a bit misty but I think that it is intentional. The characters seem to be a bit cartoonish early in the game but do improve. Your only tool is a map that is found early in the game and at least during the demo there is no special amulet or animal helper so you are on your own to solve the mystery. The HOP scenes are very familiar but well-designed. Personally, I found some of the HOPs to be very tedious because the scenes are junk piles and the required items are very small, muted or well-hidden. Fortunately some of the HOPS offer an alternative game rather than searching for the items. At one time this developer created beautiful HOPS that were excellent because the items were larger and much easier to spot. The puzzles were nothing new but I really don’t expect developers to constantly come up with new ideas. After playing HOP games for well-over ten years I have seen most of the puzzles and still enjoy solving them. Some of the puzzles in this game are easy while some have a bit more challenge. There are a couple of puzzles included that I skipped right away since they are ones that I don’t like and won’t waste time trying to solve them. If you prefer the CE version of the game Florentine Elegy offers the following goodies: collectible grape clusters hidden in each scene, morphing objects found in HOPS, strategy guide, bonus chapter, concept art, wallpapers, music, replay of HOPS and puzzles, play Match 3, and the souvenir room. Florentine Elegy has an excellent storyline that is so full of twists and turns that it took me a bit to figure out why Maestro Benedetti was murdered and who was behind the recent murders of other musicians. Even though I found the HOPS to be a bit tedious, I did enjoy most of the puzzles and found the full game even better. The storyline was even better as it developed and I was so surprised to find out who the bad guy was in the game. In spite of the difficult HOP scenes, Florentine Elegy is a game that I enjoyed and even though there are only four chapters each is quite long. As always, I recommend that you try the demo to see if you will enjoy this seventh game in the Danse Macabre series. 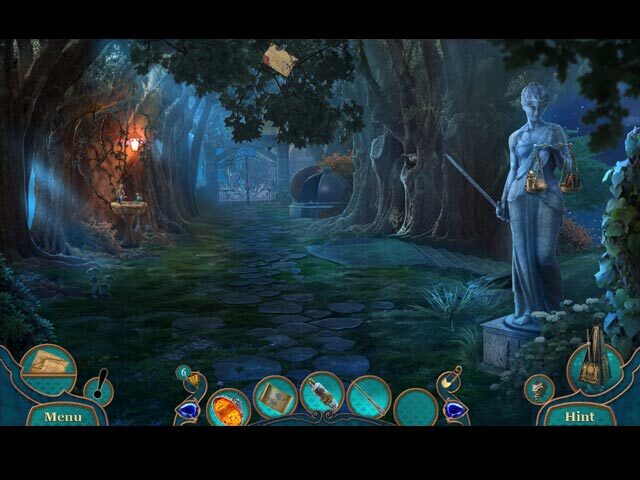 Rated 4 out of 5 by pandorrra13 from Fun hidden object game Enjoyable game play with interesting plot. similar to other games of this genre, but thats what I like so it suits me! Rated 3 out of 5 by PATinPNS from Okay, but Not the Best Attempt This is posted after playing the entire game. I own all of the Danse games, and I have to say this one fell quite a bit short of the quality of the previous ones. The one saving grace, there were no ghosts or things that go bump in the night. It kept me occupied all afternoon, but wasn't all that enjoyable. Graphics were well done. Not as good as I would have expected from this developer, but passable. Sound was excellent including the voice overs. There was a bit of lapse in the voice overs, but not enough to make it a problem. I did like the colors. They weren't dark and dreary and actually could have passed as a painting. Music was good and the effects went well with the story. My main problem was the mini games, which were well beyond both my ability and patience. Try as I might I simply could not understand what do to and the ones I thought I understood, I couldn't accomplish. Thank goodness for the custom settings so I could have the skip as fast as possible. One thing Eipix does that creates a problem for me are those little pop-up windows with hidden objects. I simply cannot see what I'm looking for. They come along during hidden object scenes and by themselves. The hidden objects were well done. The goodies were well hidden and I used my hint more in this game than most. If not for the mini games, I would have rated this a much higher level. As is common these days, you have several modes of play, and as I said I used the custom to set my hint and skip times as fast as possible. The map was a lifesaver. There is a lot of back and forth to previous scenes and it transports. The map also shows areas where you have something to do. I kind of enjoyed the story. I did make sense, but there was just something lacking in imagination. It was well written, but a tad bit lack luster. I just hope this performance doesn't signal the end of the series. Others will go into the story line itself so I won't do that. It has continuity and that's good for me. Play the demo and see what you think. It's an okay game and one you might just want to add to your collection. Rated 3 out of 5 by skullfun from Eipix may need to "raise the bar' with Danse Macabre Series! Your music tutor, maestro Benedetti has just made a victorious return from a competition. As you celebrate his success over a glass of wine, he drops dead. Soon you are arrested for his murder! After a daring prison break, you must follow the clues and search for the real killer. It quickly turns out that your maestro was only the first victim of a devious plan of revenge! Your basic mission is to save other composers and catch the person responsible for the killing spree on the music scene in Florence. Reviews are subjective, I thought the storyline in Danse Macabre: Florentine Elegy could not be more predictable. Not only has the plot been done a hundred times before, it does not even feel like Eipix is trying to make this one any more interesting. The plot twists don’t even feel like twists since we see them coming all along, and the characters are so thinly-developed they are painful to interact with. The gameplay is not much better either. The adventure portion of the game is extremely straightforward; every move feels familiar and every task feels tedious. 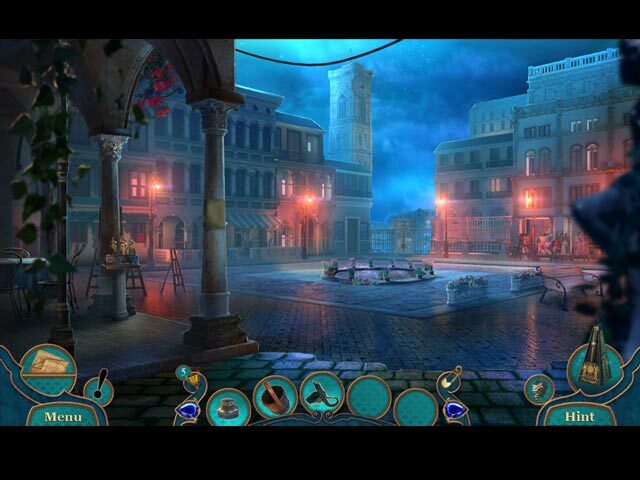 Thankfully, the puzzles and the hidden object scenes are way more entertaining. They might not be extraordinarily innovative, but they are certainly very well-designed and offer a fair level of entertainment. Perhaps, the only thing that saves Danse Macabre: Florentine Elegy from being unbearably boring is the production. The elegant artwork, the intricate details, and the sophisticated color palette help make this game such an eye-candy. And despite the slight fuzziness (noticeable in many recent releases), the cut-scenes are actually really good as well. As a music-themed game, Florentine Elegy delivers in the audio department. The soundtracks are soothing and pleasing to the ears, while the voice-acting is solid and professionally recorded. The main game of Danse Macabre: Florentine Elegy takes around three and a half hours to complete, which is quite decent given its lack of challenge. I really have enjoyed previous editions of this series. I remain hopeful that the next edition will be much more interesting with a stronger emphasis on production values. Cheers! Rated 2 out of 5 by pennmom36 from I THINK IT MIGHT BE TIME TO SCRAP THIS SERIES Florentine Elegy is another example of what happens when a series doesn't know when to quit. The storyline has no imagination and is painfully predictable. The demo is supposed to be designed to captivate its audience, and draw them in hook, line and sinker. It's supposed to leave you hanging, with an "I gotta find out how it ends" frame of mind. But, I can assure you, you'll only be left with a "so what, take it or leave it" frame of mind! The Danse Macabre series is not one of my favorite series in the first place, because It's always the same MO, an accomplished artist who gets murdered at the very start, and they are always involved in some type of competition. Almost always, the key suspect is usually innocent and must find evidence that will exonerate them. Sure enough, that's exactly what this game is about, no surprises here. Another problem I have with this latest edition of Danse Macabre, is that the murder victim isn't exactly a likeable character. He's arrogant, conceited, and self centered, not to mention that he treats his music protege as if she were his servant, so honestly, it's not surprising that Maestro Benedetti has made enemies along the way! Not even the Collector's Edition version can salvage this hot mess, which offers more of the same. There are 38 Hidden Signs, which is a feature as predictable as the game itself. The CE also offers the usual Achievements, Artwork and Strategy Guide, and that's about it, but I suppose that the Morphing Object available in just 12 of the Hidden Object Scenes cout as well. 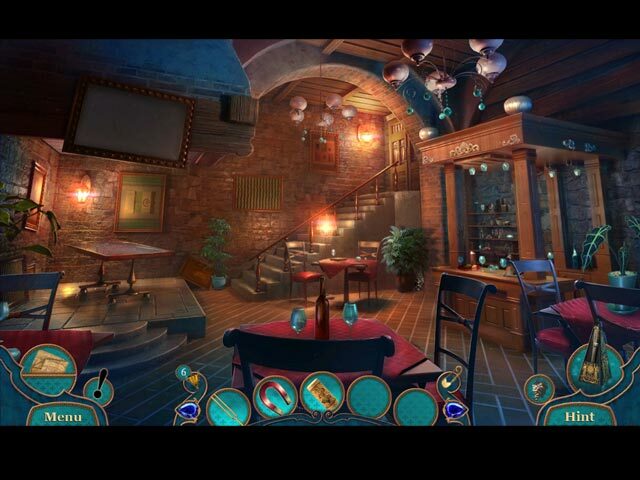 The Hidden Object Scenes are the same types offered in all Danse Macabre games too. They are mostly in the form of Silhouetted Shape or Sketch finds, some are Progressive or slightly Interactive as you click on an object to move it aside which then exposes the object. In the demo, there is one Interactive List find available within a small Zoom Zone, and one HOP includes a Keywords in sentences once you find the hidden storybook. (it took me a few seconds to realize I was supposed to keep searching) As I mentioned earlier, there are 12 Hidden Object Scenes that offer a Morphing Object, a feature I love, but hate when offered in just the HOP's, it's just not as interesting as when they are offered in each location, and half the time, I get so engrossed in the HOS that I forget to look for them. The Mini Games are decent, fairly easy to solve, but doesn't have anything new, or wow, I love this puzzle. Below are brief descriptions of some of the games you'll encounter during the demo: 1) Press the keys on the harpsichord in the correct order according to numbered directional arrows, so all keys are used once. 2) Select directional arrows to descend a rope, avoiding obstacles. 3) Click when the ball is within the marked zone. 4) Rotate Roman Numeral cylinders on the lock so the sum equals the year shown on the award. 5) Place the note buttons into the correct positions, so they match with the notes above and below them. 6) Place the moon phases correctly. 7) Sink your opponents ships by selecting squares on their board where you suspect their ships are placed (Battleship) The Collector's Edition has a Souvenir Room, 8 Wallpapers, 8 Concept Art pictures, 9 Music Soundtracks, 7 Movies, replayable Match 3 games, 14 replayable Hidden Object Puzzles, 12 Morphing Objects available within some of the HOP's, 18 replayable Mini Games, 38 Collectible Hidden Signs, a built in Strategy Guide and a Bonus Chapter. Rated 2 out of 5 by Granny_Gruff from Eipix, Please Stop. Your teacher wins yet another music competition and arrives back at his studio for your lesson in time for you to murder him with the poisoned wine some "well-wisher" gave him at the competition. Naturally someone arrives as Maestro hits the floor and yells for the police. Boy, are you in trouble! Good stuff: Multi level and interactive HOPs, and mini-games. Bad stuff: Strangely colored artwork, blurry tiny objects in the HOPs, a particularly faulty story, and unattractive characters. The plot twist is glaringly obvious and the lady protagonist is implausible. (Eipix, if you insist on setting your story in a particular time period, at least have a slight knowledge of the era. No young woman in the 1900's and earlier would have been allowed to have a "private" lesson in a male teacher's home without a chaperone, absolutely not in the evening.) As for the locks and other puzzles as well as the stilted game play, I blush for Eipix. I've lost count of the disappointing games presented by Eipix so far this year. I'm hoping this is the last! Rated 1 out of 5 by roaming from Simply Awful I did not accomplish One Single Thing during the demo without using a hint, not even the HOS, which I nearly went blind over. I don't know why I played the entire demo. Maybe I thought it would get better. It didn't. The graphics were dim and blurry, the music repetitive and boring. For a game about musicians in Venice, you'd think they could've found music to suit the period and locale instead of the same dark chords repeated over and over again. The story moved along at a tedious pace as you trek back and forth looking for pieces and parts, constantly having to stop to solve puzzles and HOS. Unfortunately, I only came across one transporting hint during the demo. I can't think of one reason to recommend you at least try before you buy.